Pampers Club 3.5.3 comes loaded with new stuff including a new in-app profile section, new in-app rewards checkout, sleek new visuals and animations, and bug fixes. These changes will make your experience using Pampers Club better than ever. Thanks for being a loyal member of Pampers Club. The principle of the app is great. However, I have encountered several problems which I have brought to the attention of Pampers Club but there have been no improvement. 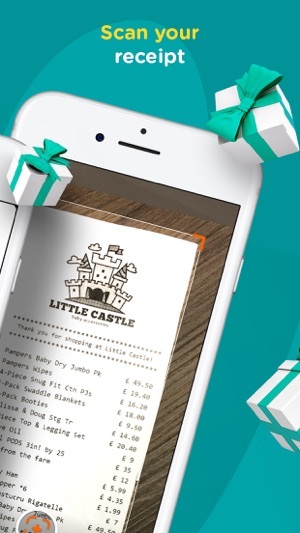 One issue is that when you upload a receipt (and I primarily use online receipt) the cropping tool that you are forced to use always cuts off the edges of the online receipts, no doubt making it harder to read. It’s a pain to drag the edges of the tool as it is but even more annoying when, despite all that effort, you cut the edges off anyway. Another issue is that if there are multiple packs on a receipt, this is often missed and therefore the correct points are not given. I have mentioned this in the 3 times I have had to email customer care but there has been no improvement on this area. Finally, I have had receipts rejected before as it was in the correct format and I did not think Pampers Club did enough to notify me of this so I nearly missed the deadline to resubmit. If these issues were ironed out, it would be 5 star from me. I'm sorry to hear of the problems that you are having with our app. I really appreciate you taking the time to let us know as user feedback is extremely important. 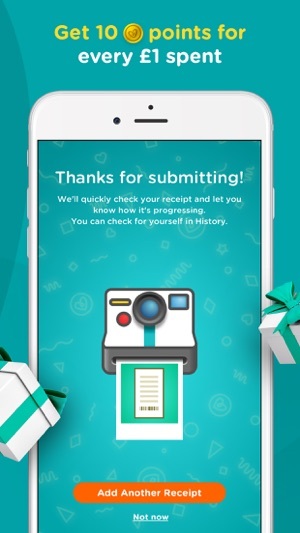 I'll make a note of the comments you've made regarding our apps functionality and pass this on, if you are having problems with missing points or rejected receipts, I would encourage you to continue using the contact us page on the Pampers Club app as our support team would love to help as much as they can. Thanks again for your feedback and I do hope that you'll continue to use our app. It’s such a good idea, and really useful WHEN IT WORKS, I always try and upload receipts, I had an issue with one not long ago where it clearly had two lots of pampers nappies on the receipt, the date was on it, the time and where it was, and it was rejected for the reason of “no pampers products on this receipt” and something on the lines of try again, so I tried again because on the receipt it clearly read “Pampers Ppp Sz3 31” and “Pampers Ppn Sz3” and then I got hit with the message “you’ve already uploaded this receipt” so in the end I had to go through the whole automated customer help service which was more time than I wanted to spend just to get some points from a receipt. Today I’ve just tried to add a ‘pampers club bonus’ that came inside the bag of nappies, this is the first receipt I’ve added in 2019 and I was hit with “you’ve reached your scan limit” which I really don’t get since it was the first and only receipt I added that day, this is getting a little frustrating and needs some bug fixes. 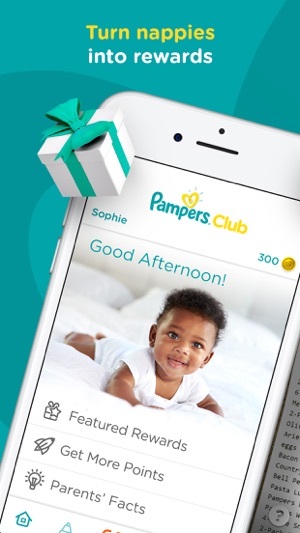 Hello, thank you for getting in touch with Pampers Club and sharing your feedback on the app. We really appreciate this as it helps us improve Pampers Club for you to enjoy. 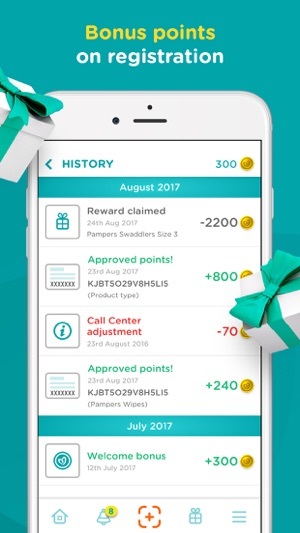 I am really sorry to hear that the app rejected your receipts as it didn’t recognise the Pampers products on it, I understand how frustrating this is when you are wanting to accumulate points on a reward. Please don’t hesitate to get in touch with you team via the app and one of us will be more than happy to look into your account and share some tips and tricks to get you accumulating points in no time :). It’s beyond me how awkward this app is to use. I don’t know if it’s just not very well put together or they have deliberately made it so difficult to get right so that you lose the will to live trying to upload receipts and end up just not bothering. Most of the time I end up having to message them to get it to work and then even if you do half the time they credit the wrong number of points. As far as creating brand loyalty it doesn’t really feel like a reward when it takes so much effort to get right for the tiny number of points you get. The upload function is cumbersome and hard to get right, when uploading online receipts the crop function is hard to use (as well as being pointless) plus you spend ages trying to get it right then when you go back in it hasn’t even uploaded the cropped area but everything in the original picture... why bother?! Only 30 days to upload a receipt as well - it sometimes takes longer than that trying to get it right and waiting for a response from them. Really disappointing.